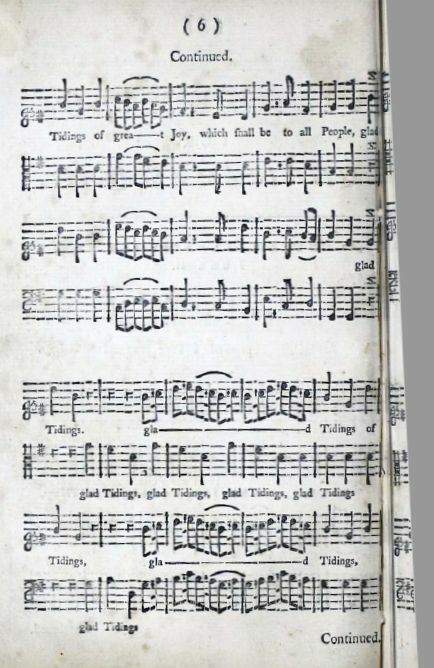 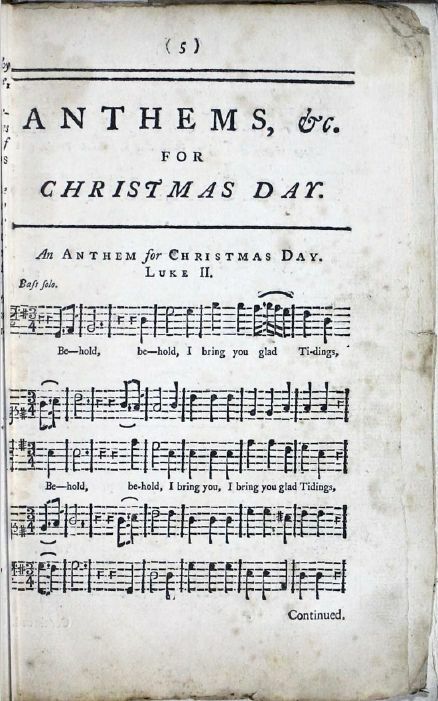 Source: William Knapp, ed., Anthems for Christmas Day (London: Robert Brown, et al., 1744), pp. 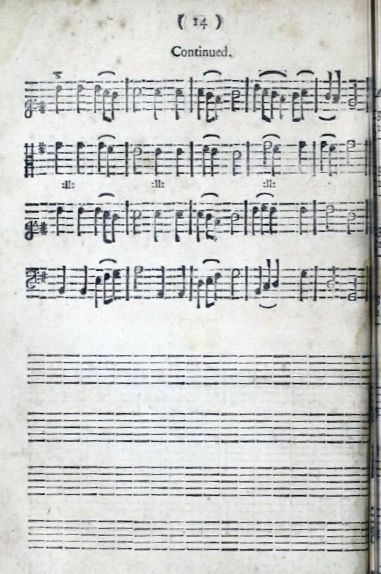 5-14. 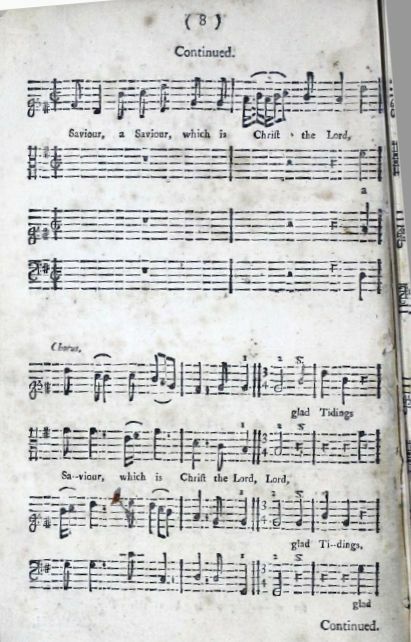 And this shall be a Sign unto you. 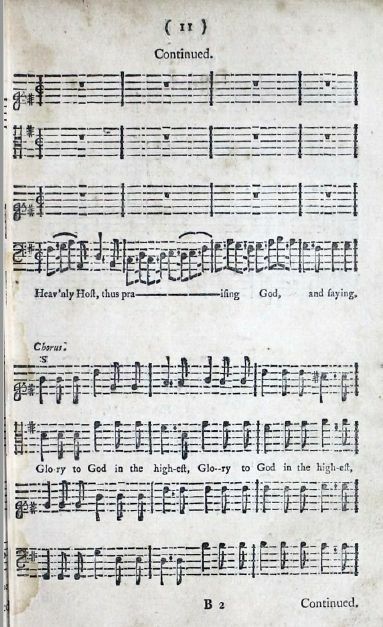 Alleluia, Alleluia, Alleluia Alleluia, Alleluia. 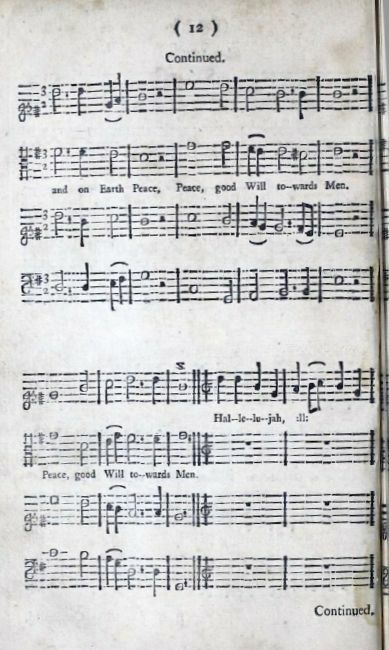 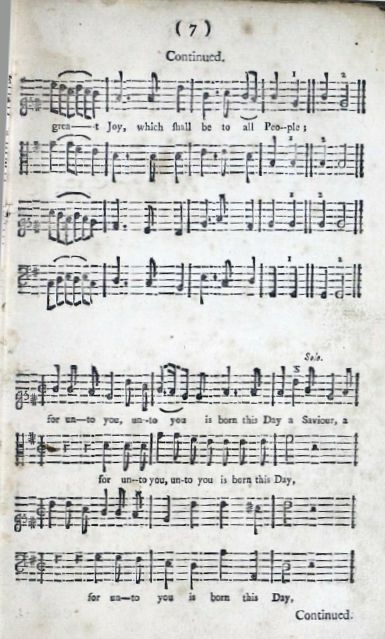 Sheet Music: William Knapp, ed., Anthems for Christmas Day (London: Robert Brown, et al., 1744), pp. 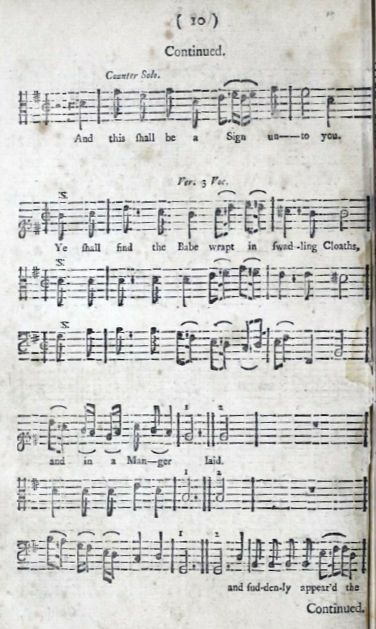 5-14. 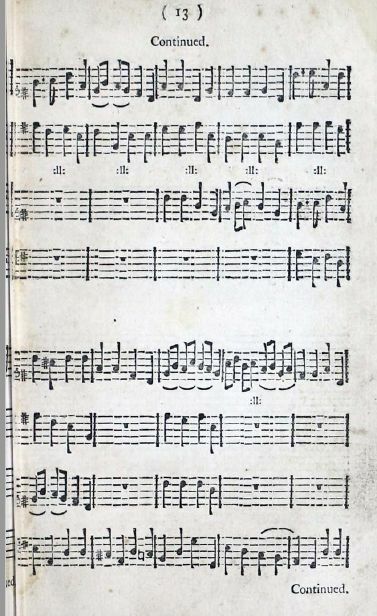 Free sheet music is available for this piece for non-commercial use from Roding Music, both vocals and vocals with keyboard. 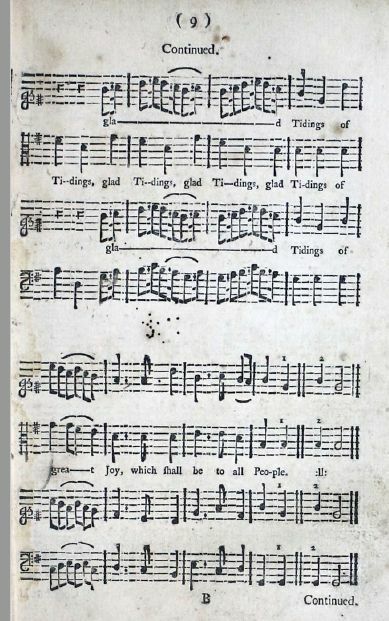 The Christmas Carols page has links to this and other carols sung in the West Galley tradition.